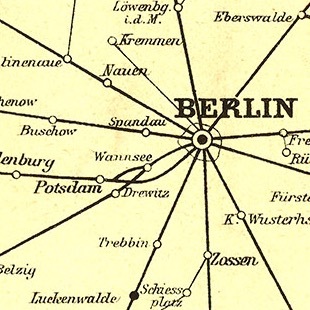 The goal of “Mapping the Literary Railway” (MLR) is to demonstrate the idea that visualization is interpretation. To this end, we have taken the traditional humanities research conducted by Professor Youngman for his monograph Black Devil and Iron Angel: The Railway in 19th-Century German Literature (Washington, DC: Catholic UP 2005) and applied spatial humanities techniques to his conclusions. Youngman, Paul, et al. “Visualizing the Railway Space in Fontane’s Effi Briest.” TRANSIT 10, no. 2 (2016).